Rubanovich, Julia & Geoffrey Herman (eds.). 2019. 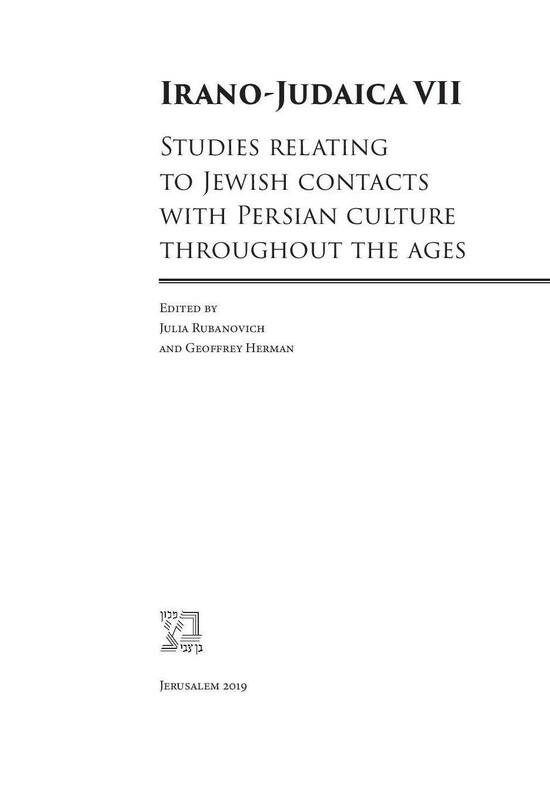 Irano-Judaica VII: Studies Relating to Jewish Contacts with Persian Culture throughout the Ages. Vol. VII. Jerusalem: Ben-Zvi Institute for the Study of Jewish Communities in the East.